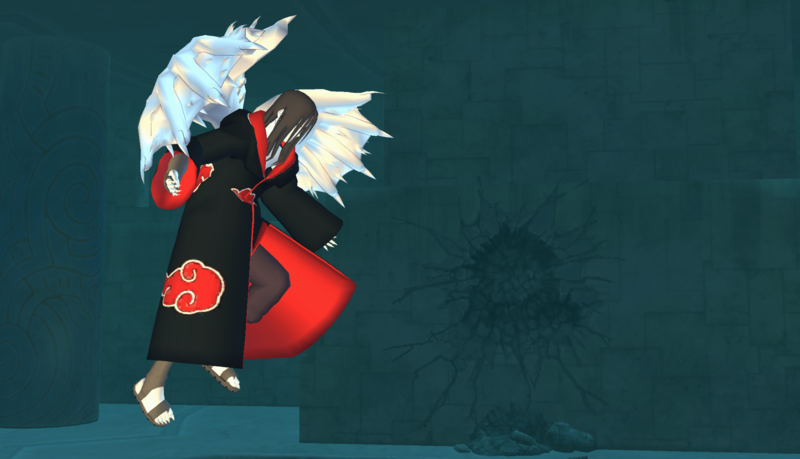 This Has Galeem's model from smash ultimate alongside the Final Destination (Sky Only, as I haven't figured out how to animate the other BG) with brawls FD platform. 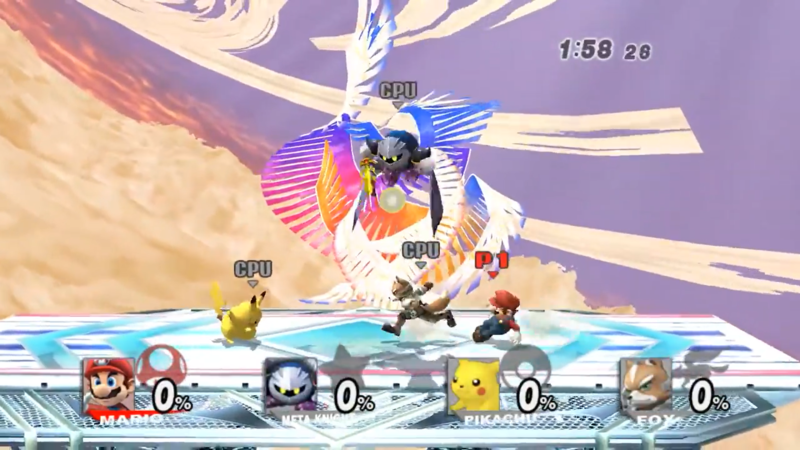 Galeem is animated and his textures move like in ultimate. 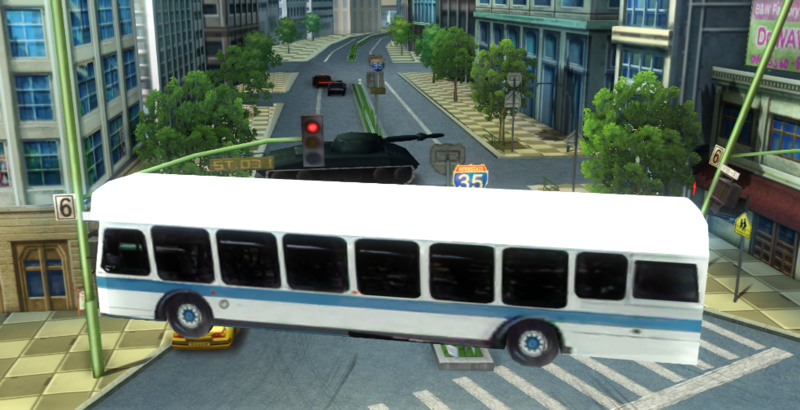 Should run with no issues on wii. just dont use very high poly mods as i dont know how that will fare. project M should work with this mod. 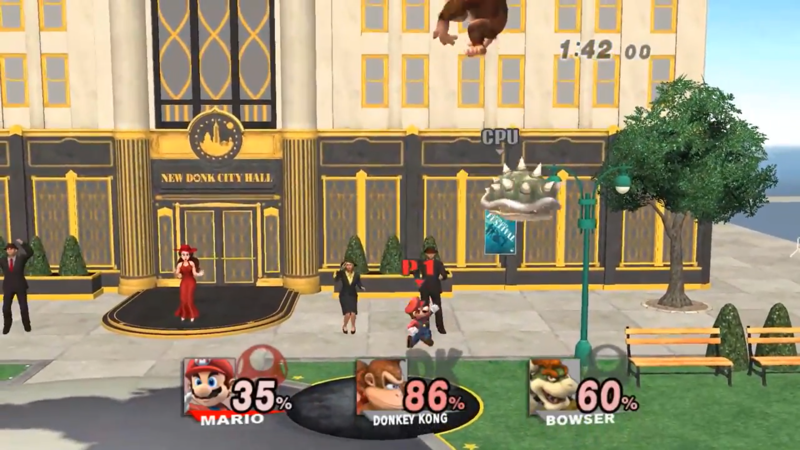 This is the Normal Version Of New Donk City Hall. It only takes place on the ground due to filesize restrictions and that its impossible to include every aspect of the stage. Two versions are available, one with Pauline and the new donkers that should work on dolphin but may cause lag or even crash the wii depending on the character and how high poly they are. 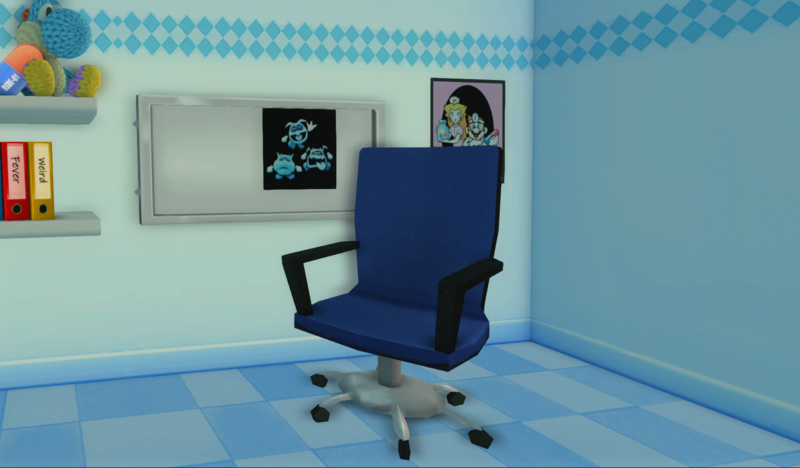 And a version without Pauline and the new donkers that should not cause as much lag on wii and should work fine. Project M was not tested. The hole in the ground is cause that's where the other buildings should go. but they were not added due to file limitations. This is the omega version of New Donk City Hall! 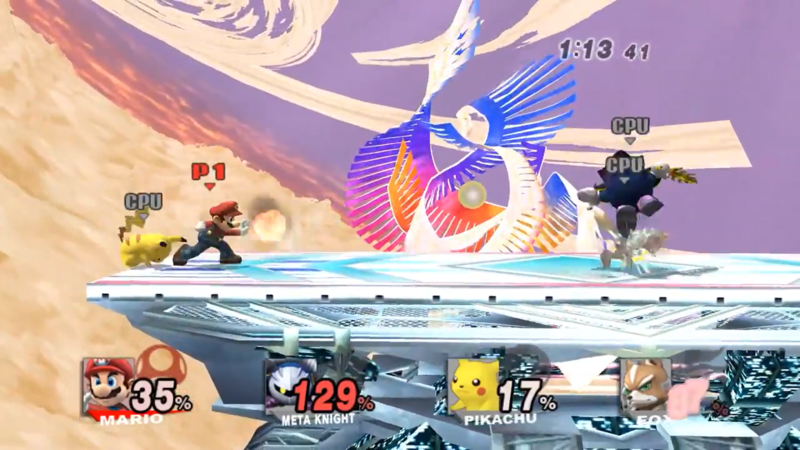 Two versions are offered: a version for wii that is lagless without the odyssey in the background and a version with the odyssey in the background that may cause lag but is for those who want it to be closer to how the stage was in ultimate. This version will work on wii but its been included for those who want a choice/preference. 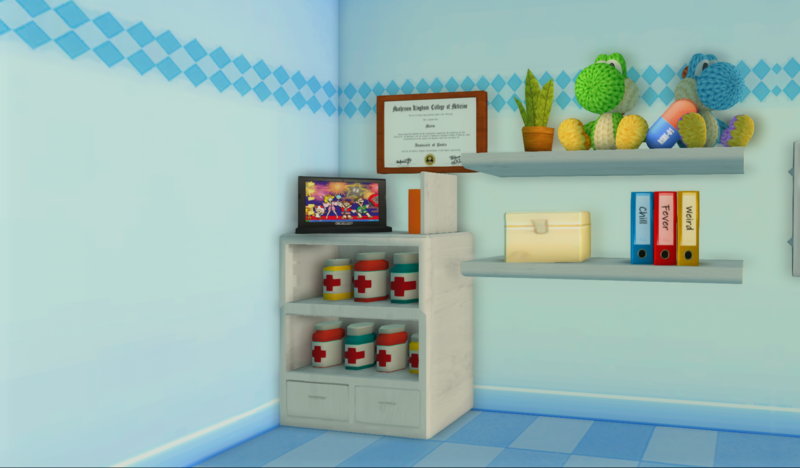 Has not been tested with project M.
An new version will be in a few days that fixes the cloud texture issue and makes the stage look nicer. The Skyworld omega got ported to brawl! It also comes with a platformed alt (inverted bf platform layout). 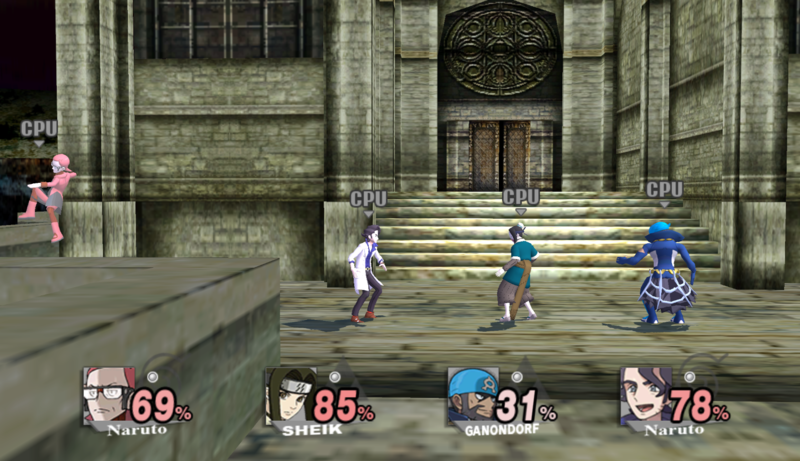 It has the same stage length as the smash 4 omegas, same boundaries, respawn points and the same aesthethic ported to brawl. Nonetheless, it's still a beautiful stage. Goes over Skyworld without rel ports. There was that Pipe Plaza mod somewhere in this vault. Wherever it is, I got it and changed it up, giving it a texture overhaul, size change, and overall gameplay edit. This is a large stage, yet it doesn't ever feel like it is too often. This has the capability to be both an offensive and a defensive stage depending on who plays. This stage is played straight across from one end of Pipe Plaza to the next. You can get up on the metal frame or down underneath of it at any time. Also, you can hang around the sides of the stage too. 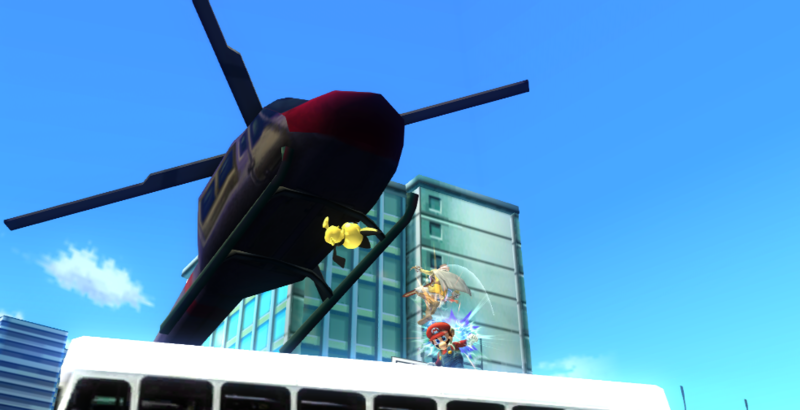 I wanted it to almost feel as if you had the freedom to explore the whole stage, just like in Mario Kart. Two things to keep in mind - one, though the camera stretches out to the very boundaries of the arena, I made the KO zone almost immediately around the outside of the boundary. 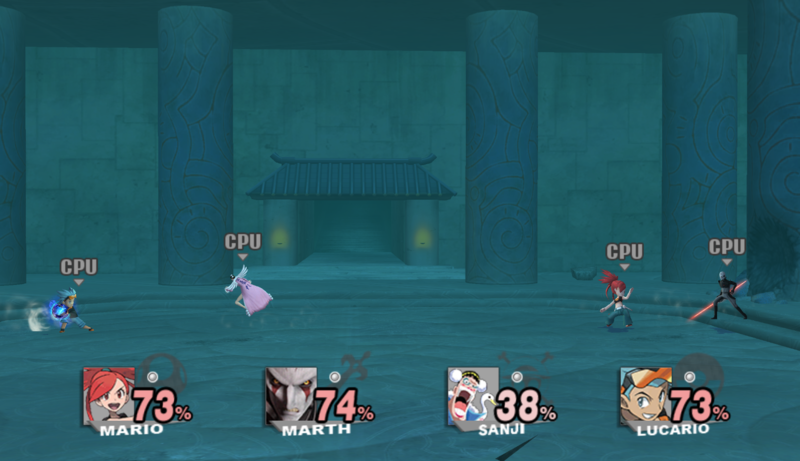 So going offscreen is not a good idea on this stage, because a mild hit could end that stock for you. [See where Daisy is in the third preview pic to get an idea of where you're in danger.] I have no other reason for doing this other than I wanted the whole stage available, but I also didn't want people going outside into the grass; partially because the course model is uncovered on the outer west side for some reason. But you wouldn't know that otherwise unless you deliberately moved the camera there or looked in Brawlbox. I don't know why the model's like that. Not at all noticeable in gameplay though. The other thing is that the ramps could sometimes obscure the view, but you could use that to your advantage. But a lot of the time, there'll be too much going on to even be around there for long, and the camera tends to zoom in past the ramp anyways. 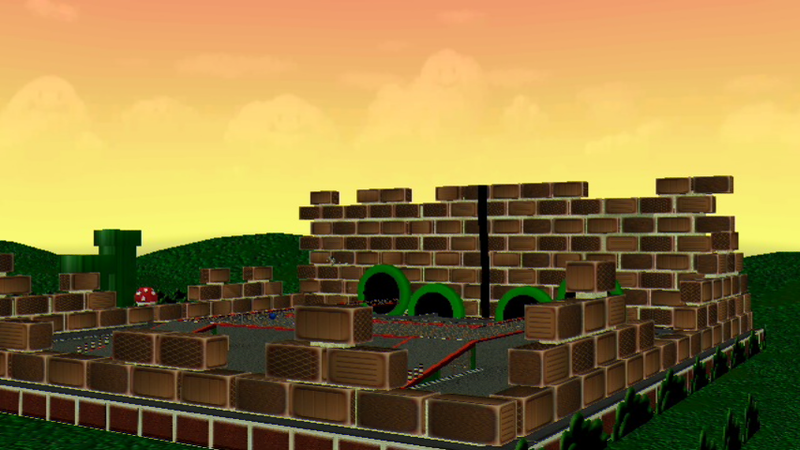 I wanted to give the stage a slant and make it a little irregular so you'd be fighting on the track at an angle, and that might also therefore mean that the playing space could end up being smaller in order to not conflict with the stage model itself. Maybe if I come back to this, that'll be something to do. 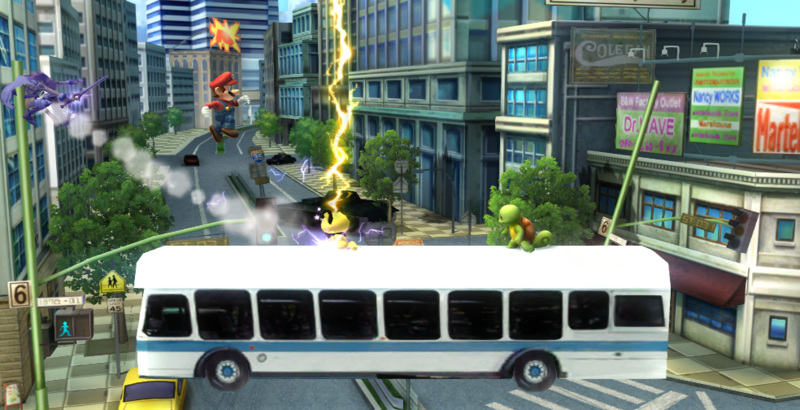 Final Destination based stage with a .rel to go over Skyworld. Can go anywhere else with an FD .rel, I'm sure. 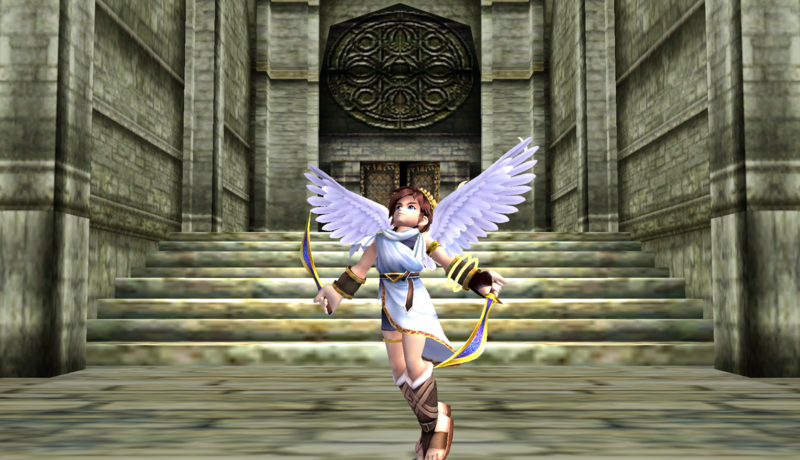 Palutena installed onto Skyworld a new palace for smashing! A warioland 1:1 with Skyworld aesthethic, with same camera, blastzones, spawn positions, collisions so it's tourney legal. 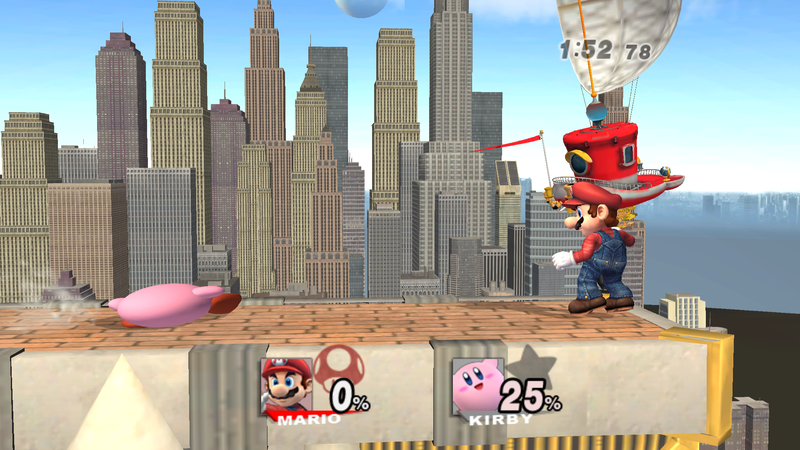 Original base stage and platforms taken from http://forums.kc-mm.com/Gallery/BrawlView.php?Number=204949. Who said that Skyworld isn't a legal stage? oh yeah... the stage list. Here's ForestWorld, a reskin of PM Skyworld while being in the Forest from SSE. It has all the legal stuff and it has 6 reskins: Spring, Autumn, Winter, Sakura, Night and Rainy. LAST MINUTE CHANGES! 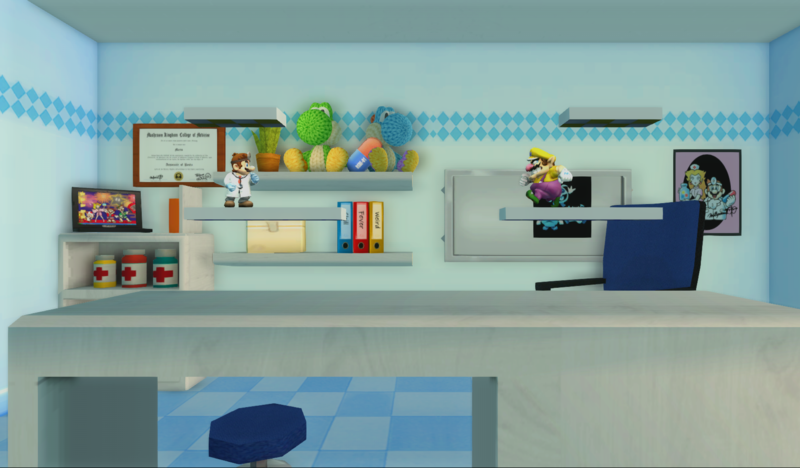 Went back to look at the stage packs and found out there was an update to this stage. So at the last minute I got the water transparency fixed. I've been wanting this stage since the last two years. The Castle in the sky! It's a PM 3.6's Castle Siege 1:1, using a FD base. Has PM Cosmetics for both Skyworld and Castle siege itself. Various rels and stage slots included. The annoying dog's game now gets a bit more fair. Not the actual game though. 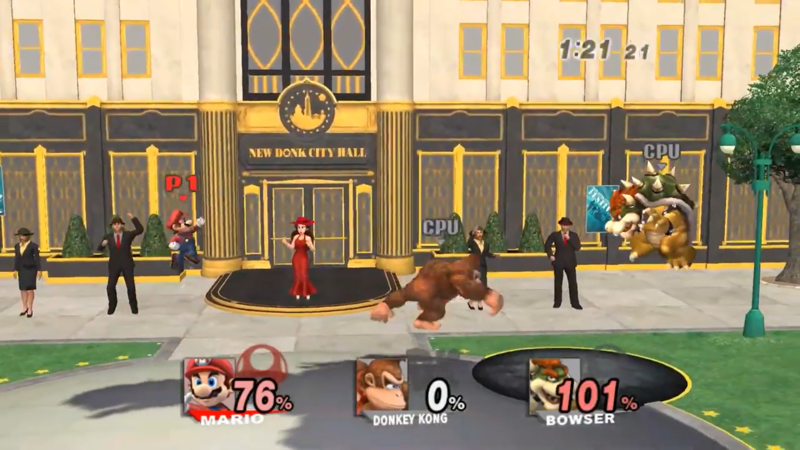 Duck hunt from SSBU in brawl now as a more competitive version if omega wasn't competitive enough. Works over Skyworld with no rel change. Quiet and calm nature... Now balanced! If the omega wasn't enough, here's a competitive version for all of your non-omega needs. 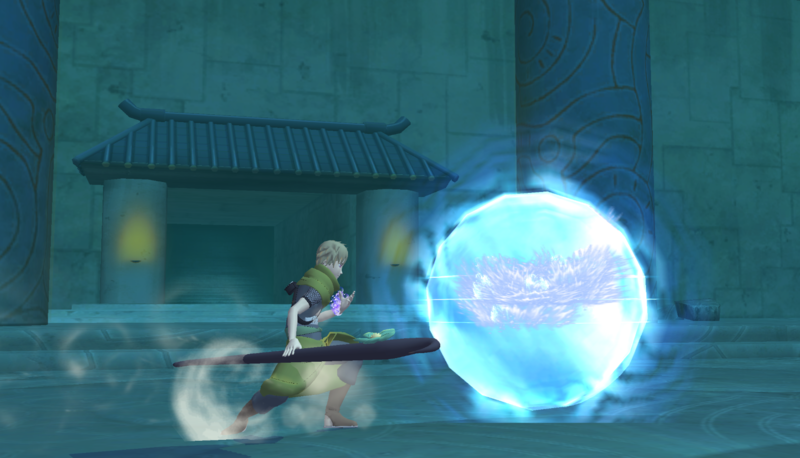 Goes over Skyworld with no rel. Original Omega import by DSX8 and Edwguard Flows. Wily's Castle now perfectly competitive. Uses the omega version with an additional moving platform that goes from right to middle and to the left with stops and waits between those three (right>middle>wait>left>wait>middle>wait>right>wait). Uses PM Camera and has cosmetics. Original Omega by DSX8 and jaystring. A new twist on Australia's favourite stage. Moonlight and stars glitter Sky Sanctuary Zone. 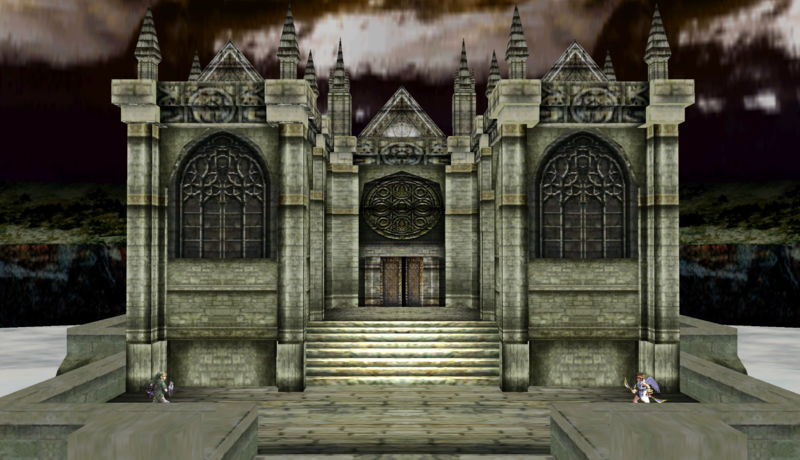 This edit fixes the lighting and gives the stage a darker appearance. Includes in game previews with Counterpick versions. Big thanks to NEZHA for helping with the first version of the lighting and letting me use the Moon and Stars from Tower of Heaven, and big thanks to SOJ for fixing the final version of the lighting. 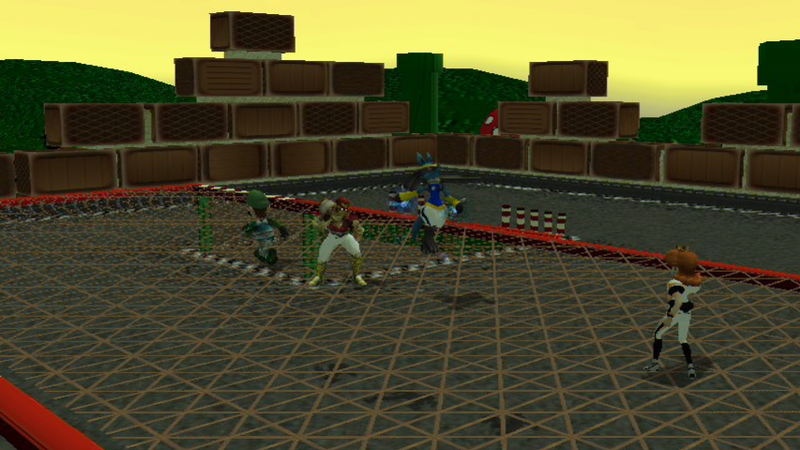 Middle platform has been raised and you are now able to wall-jump off the sides. I have no credit for the background, original stage and textures, I only made it an omega version. Made as a challenge for my Terraform project. Ive started a new project called Project Terraform! My goal here is to make separate stages (not a build or a pack) that looks and feel different from their vanilla counterpart, not some easy as reskins, but full stage edits that includes casual and competitive approach into things. But there is a catch: I will be only allowed to use brawl assets and no external modeling software aside from brawl box and vertex edits, I cannot import outside sources and I have to make any aditional texture by hand. No stage will be 1-1 to any existing brawl, smash 4, melee, flash, TE, XP, Smash2, PM, Minus and all in between. The point of this project is to prove two things: You DONT need modeling skills to make pleasing stages, and you DONT need to always reskin stages to be enjoyable. My Goal is 30 stages. 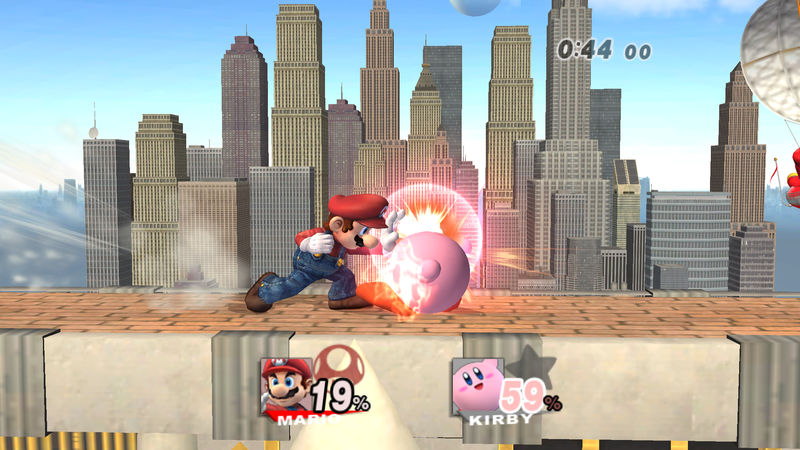 The themes of these stages do not matter, as they can be from the same game, another game or a original concept. Dont worry about the other projects Im working in, as PT is more of a solo project for me to vent down from custom model edits, and to find hidden brawl gems. Page created in 0.466 seconds with 136 queries.